German Figural screw mechanism nutcracker, c.1850. Basically complete and ok, but some chipping to tricorn type hat and some glue showing towards the base. 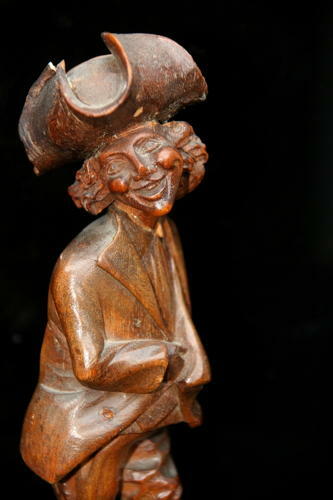 A nice caricature figural standing Nutcracker.